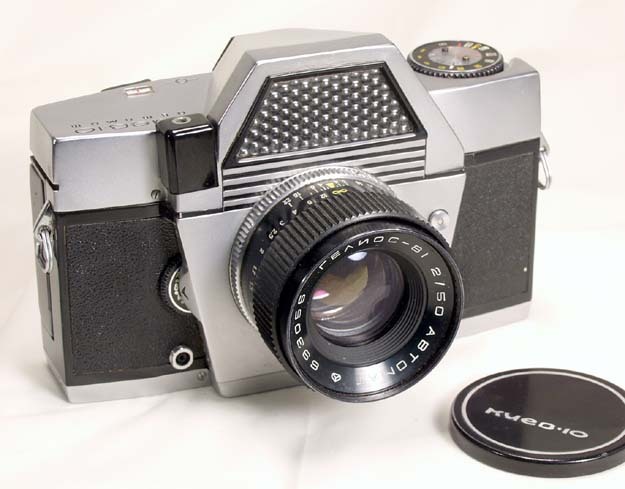 The Kiev-10 is the first autoexposure SLR made in the USSR. Its exposure circuit is powered from the large Selenium cell located in front of the prism housing. The camera is also known for its exotic fan-shaped metal blade focal plane shutter. 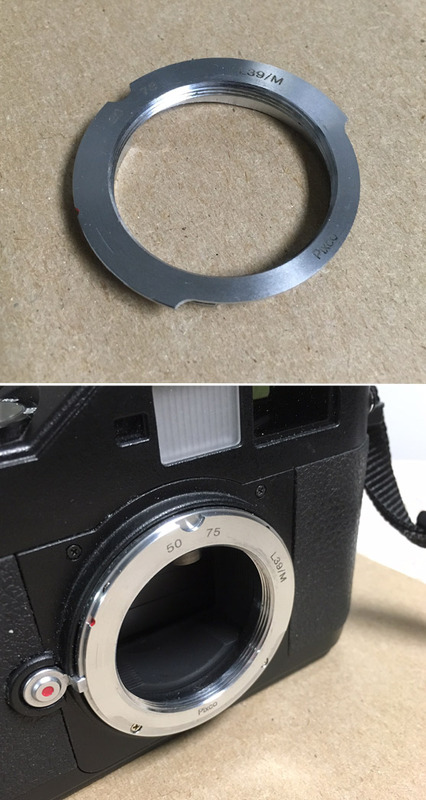 The shutter of this Kiev-10 is not working, so the camera is sold AS IS. This is a large and well-finished camera, a must for your Soviet camera collection.